What is the mission of Zero Balancing? The mission of Zero Balancing is to provide a holistic body therapy that amplifies a person’s experience of health and vitality on all levels. Zero Balancing (ZB) is a hands-on bodywork system designed to align your energy body with your physical structure. Simple yet powerful, it focuses on your whole person, even when addressing specific needs. Considered at the leading edge of body/mind therapies, ZB moves beyond Western scientific approaches to body structure by incorporating Eastern concepts of energy and healing What this does is enable a practitioner to work simultaneously with your structural and energy bodies to bring balance. Essentially, these two bodies work in concert with one another and with the external world, yet function independently of each other. The structural body is what you can see and touch — bone, soft tissue and all the body organs. The energy body is the seen and unseen movement, including muscular movements, movement of tissue fluids, cellular and molecular vibrations, movement within the body fields, and movement of the life force itself. Your energy body directly affects, and in large part is responsible for, your mood, emotions and vitality. Changes in body energy and its fields usually precede illness and have a causal relation to disease. It can be useful to think of the structural body as the sail of a boat and the energy body as the wind. At some point the wind meets the sail. When structure and energy are not integrated, you’re like a sailor floundering at sea, not “tacked into the winds of life.” Life is less satisfying and you’re more susceptible to all manner of emotional distress and disease — from simple irritability and headaches to more profound mental or physical symptoms and illnesses. When structure and energy are balanced, dysfunctional habits, such as outmoded emotional patterns and imprints from past traumas, tend to release. In addition, you’re able to function with relative ease, efficiency and comfort, cope with things better, and enjoy greater robust health. This is why most people undergoing Zero Balancing report experiencing a sense of fluidity, integration and well-being following a session. Zero Balancing process generally takes between 30 and 40 minutes and is performed with you fully clothed. Sessions begin with you in a seated position, moving from there to a comfortable reclining position on your back. 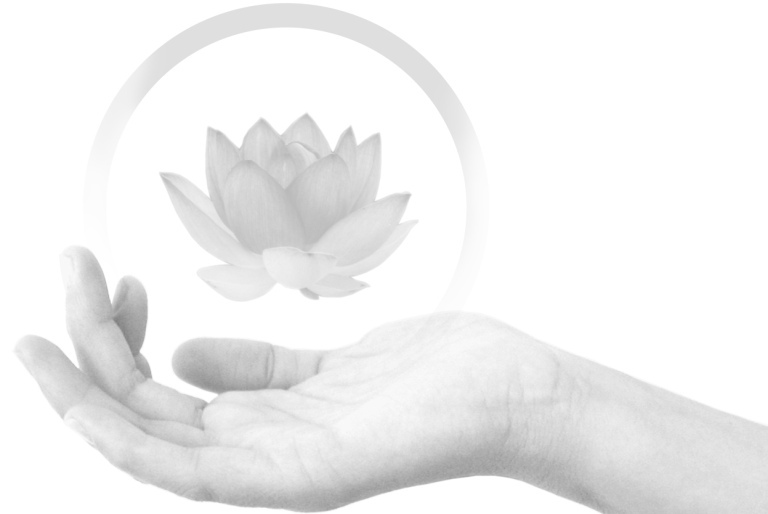 Using touch, the ZB practitioner evaluates your energy fields and energy flow in these two positions and balances the structures as needed. He or she may focus on body, mind, spirit, or all three, depending on where the fields are disturbed or the energy is blocked. Throughout the Zero Balancing session, attention is given to the skeleton in particular because it contains the deepest and strongest currents. Everything in a ZB session is designed to promote maximum relaxation and a sense of well-being. The process is “distinguished by a form of touch known as interface. Gentle and noninvasive, it’s pleasant for both the ZB practitioner to give and the client to receive. Some people describe experiencing “expanded awareness,” others “tension melting away, ” and , still others say it’s like “feeling balanced to zero”. When is Zero Balancing appropriate? A Zero Balancing session is ideal for helping to prevent and relieve the problems encountered in this harried world we live in. ZB creates a point of stillness where the mind quiets, the energy fields organize and internal reorientation occurs. The process is designed to work in tandem with primary healthcare, focusing on deep quieting and integration of the body/mind/spirit to promote optimum functioning. ZB is a major adjunct to staying well as you navigate through the difficult periods of life. In a sense “Fritz” Frederick Smith was born into the world of touch. His father was a noted chiropractor recognized by the Monterey California Chiropractic Association as “Chiropractor of the Century. Dr. Smith received his doctory of osteopathy in 1955 and his doctor of medicine in 1961. During the ’60s and ’70s he went in pursuit of a deeper understanding of illness and health, becoming a student of Rolfing®, yoga, meditation and Eastern philosophies. Dr. Smith became a licensed acupuncturist in 1972 and later studied with J.R. Worsley of the Chinese College of Acupuncture in England, earning both bachelor’s and master’s degrees in acupuncture. It was during this time that he also experienced intense personal revelations under the teaching of Swami Muktananda. These latter two experiences became the catalysts for his ultimate creation in 1975 of Zero Balancing. 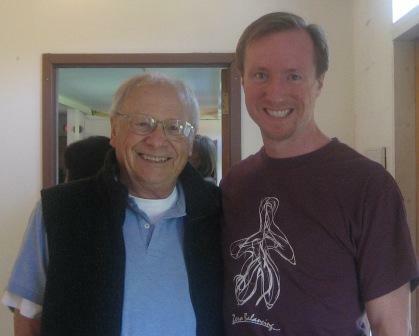 Fritz Smith has been practicing and teaching Zero Balancing throughout the world for more than 20 years now. He’s the author of numerous articles on energy, along with the book Inner Bridges: A Guide to Energy Movement and Body Structure. People in any number of situations can benefit from Zero Balancing–from the person under pressure or having stress-related symptoms to the well person who wishes to maintain optimal health or is on a journey of self-discovery and self-actualization. The latest research shows that changes in energy fields actually precede disease and illness. Zero Balancing is “holistic” because it deals with energy and energy fields directly, as well as with body structure. The balancing processes often release stress before it becomes physically manifested. Likewise, they release old or outmoded tissue-held patterns and imprints, supporting change and growth in an organic, integrated way. While Zero Balancing looks at symptoms, it moves beyond them to address our more fundamental nature. After a session, the vibrations of stress pass through the body more easily, making difficult situations less problematic. In essence, the quality of energy and structure–and their relationship to one another in the body–directly affects how well we function physically, emotionally, mentally and spiritually. How Often Should You Have Zero Balancing? The number and frequency of sessions you receive basically depends on the reason why you’re seeking Zero Balancing. A minimum of three sessions is recommended, however, since each session builds on the last. Maintenance sessions, if needed, should be at intervals of every two to four weeks.